The funny thing is we all wear helmet while riding bikes, we wear seat belts when we drive cars, we will have many types of security devises to secure our families, we give lot of importance in our private life except at our work place where we need the protection most. 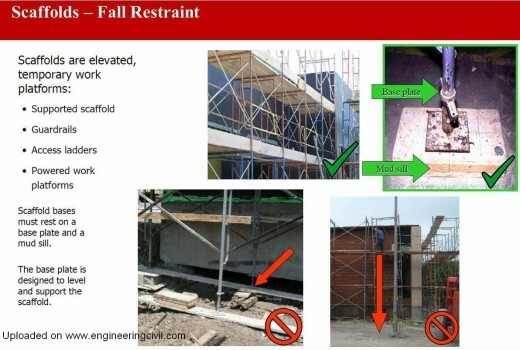 This is about the Fall Protection we often work at place where the job or activity to be completed in urgency. 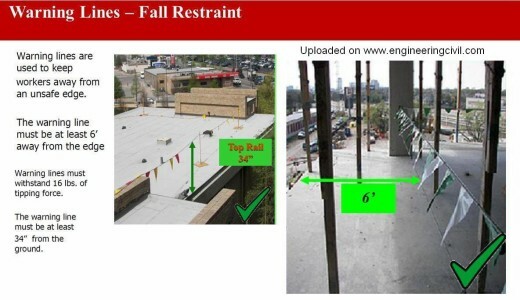 Fall protection can be practical and can be provided economically and importantly, it can save life. We never construct the building without a blue print because the challenges are so complex. 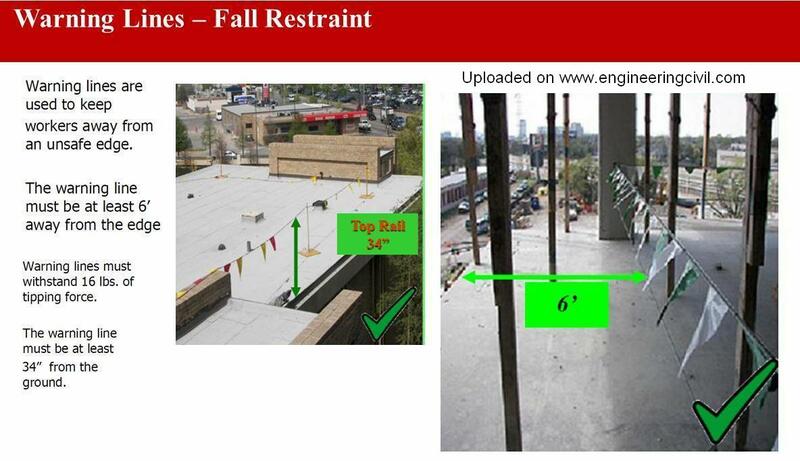 Fall Protection problems are also equally complex. But most projects begin without much taught to solve the problem, most of the workers works without fall protection in their own way. The solution of the problem begins with proper planning before the work commences at elevation. 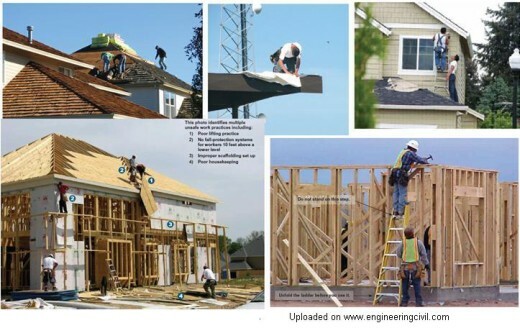 Each job site is different and each solution must be crafted according to the specific job site. Fall Protection work plan is simply a Job Hazard Analysis. It’s like a blue print for a worker safety at site. 2. 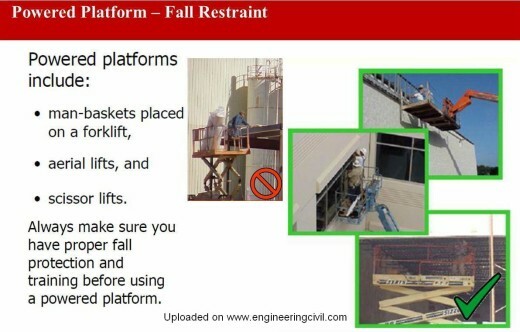 Provide solution to use the method of fall protection. 3. Identifies the work procedure. 4. Recognizes how much is the Horizontal Travel required and how much is the Vertical Travel required. 5. Recognizes what are the obstructions. 6. Recognizes the slippery surfaces or icy surfaces. Please Note and Keep in mind Safety is Every One’s Responsibility. 3. Work Procedure change – where conventional fall protection is impracticable to use. 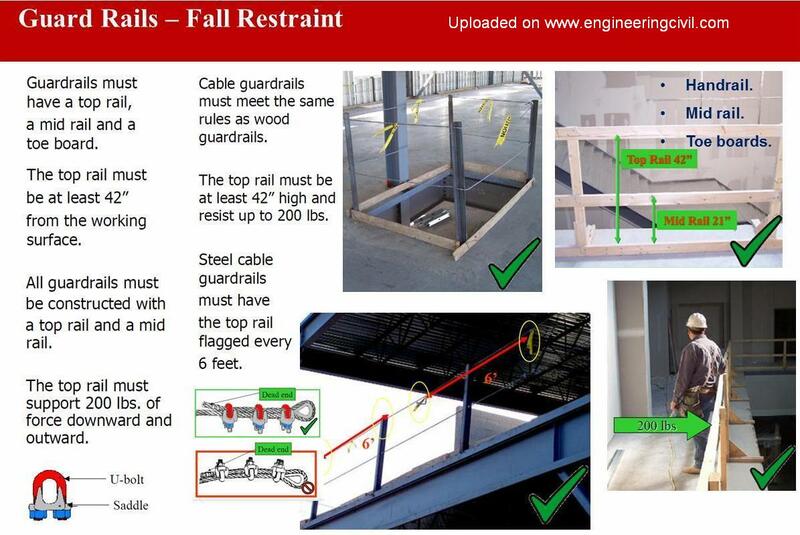 Fall Restraint System is permanent or temporary Guard Rails. 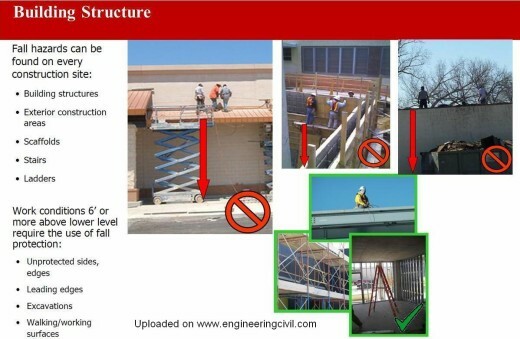 Using of pole belt resists the worker travel and eliminates the possibilities of fall. Mobile Elevated Work Platform (MEWP), Boom Lift, Scaffolding gives the safe work platform for working. 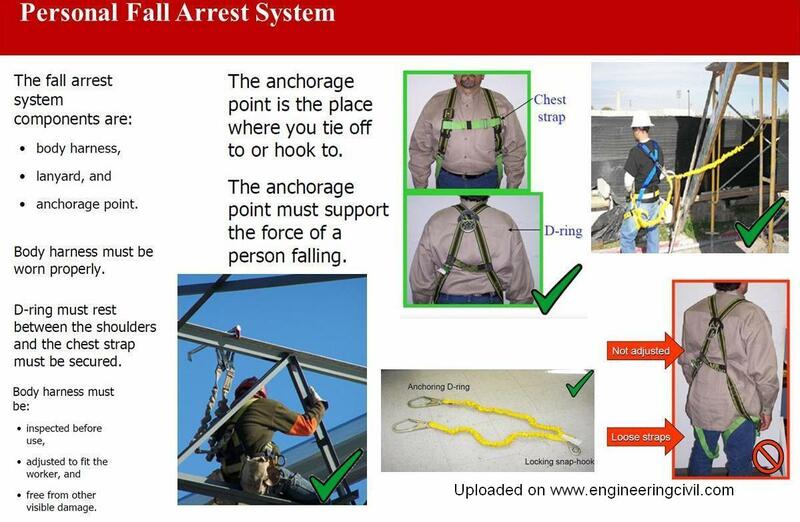 When it is impracticable to provide the Fall Restraint, the worker next method is to provide Fall Arrester where the worker body is arrested. 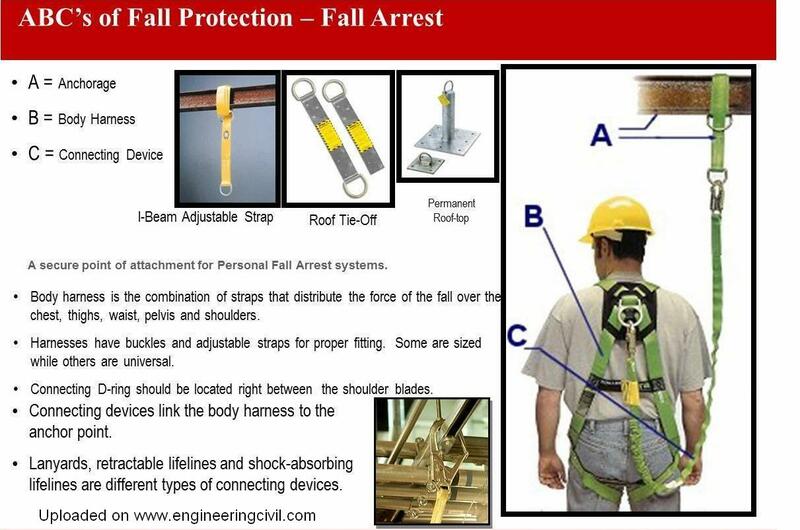 Fall Arrester by means of Body Harness or Safety net. 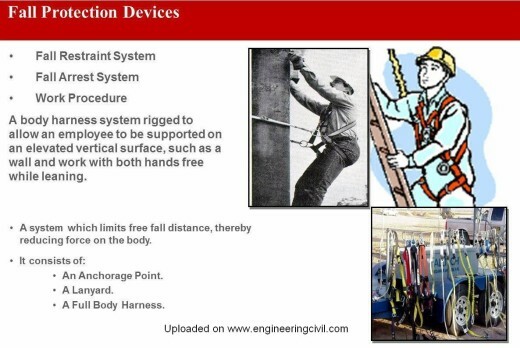 Working together with these three components constitutes the Fall Arrest System. 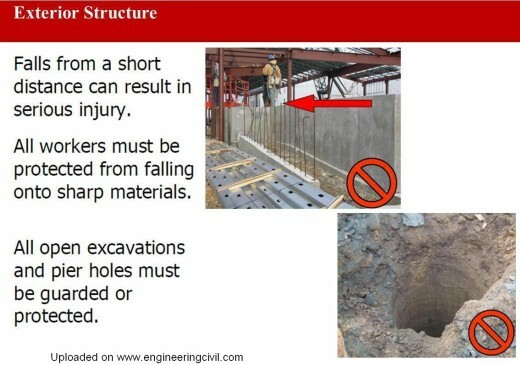 Anchor points should be closure to your work place, if not it will lead to swing fall hazard. Rope grab designed to lock on to the Life line when the fall occurs. Retractable lanyard has locking mechanism and it acts as belt arrest when the fall occurs. These are the devices designed to arrest the worker from free fall and eliminates the dangerous slack that developed using fixed life lines. When it is impossible to use the Fall Restraint and Fall Arrester we need to modify the work procedure and it is an another means to provide fall protection. Erecting the Scaffolding is dangerous while working at height. 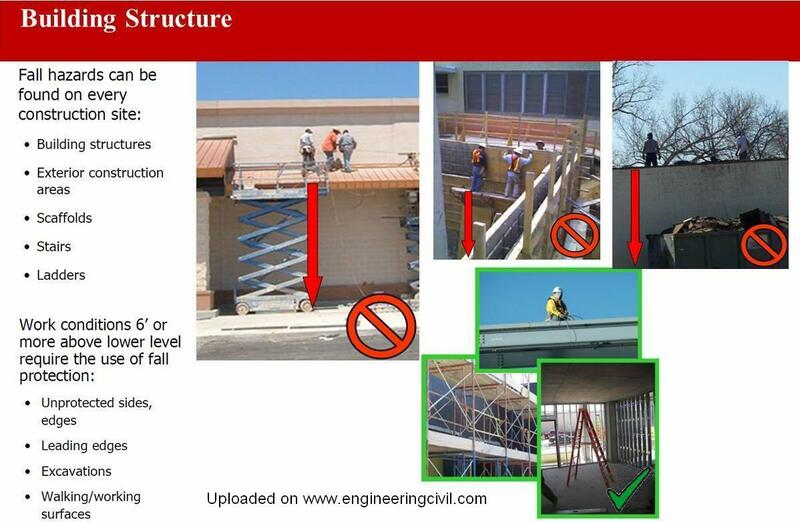 It is necessary to follow correct procedure when putting up scaffolds. 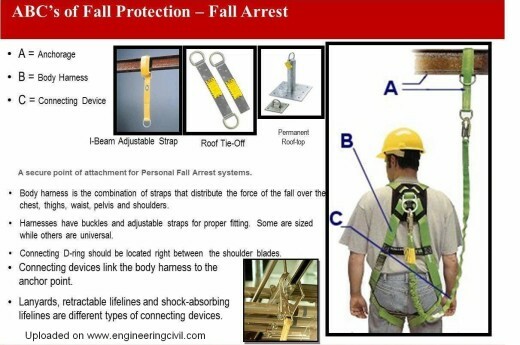 A safety monitor is relatively new concept in the fall protection, where trained person will guide the worker continuously about the fall hazard exposed to. Planning and training are extremely important, the supervisor overseas the situation that the worker what type of hazard they may encounter. The worker should undergo proper training, so that the experience will be brought down to proper work procedure by the supervisor. Because it could Save Your LIFE.